Modular synth with extras bundle. 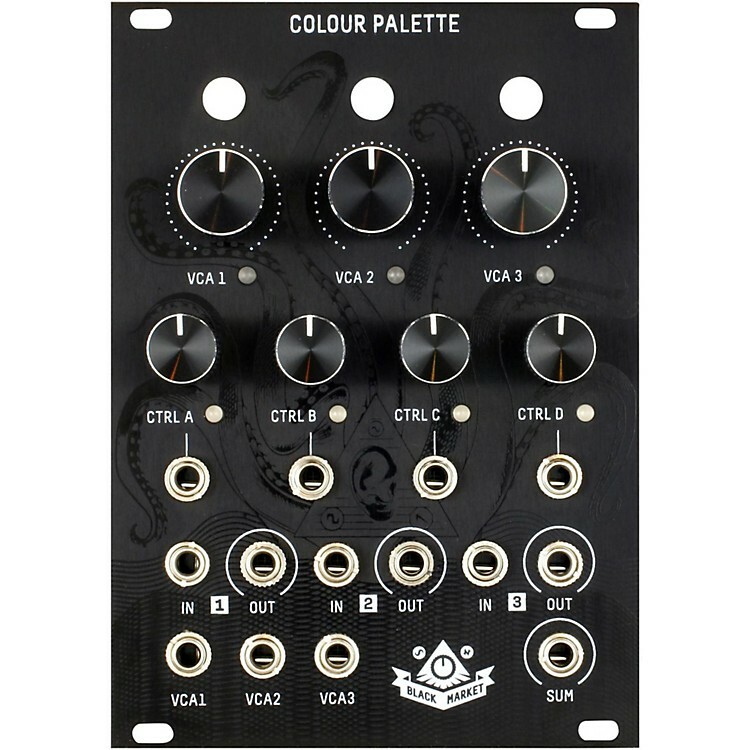 Designed to deliver the DIYRE Colour platform to Eurorack modular systems, the Colour Palette by itself consists of three high-quality VCA's with serial and parallel routing options. You may host up to three Colour or ColourCV submodules – low cost, ultra compact, DIY friendly circuits that provide a wide range of functions including saturation, filtering, delay, and many others. This is the Colour Palette Bundle, which includes Woof & Tweet colourCV's. These set the initial level for each of the three VCA’s. These levels are increased by positive (unipolar) voltage at the corresponding VCA CV Input jack, typically from an envelope generator. The VCA level may influence the effect of installed Colours or ColourCV’s. These inputs allow control over specific parameters on installed ColourCV sub-modules. This control level is modified by negative or positive (bipolar) voltage at the corresponding CV input jack, typically from an LFO or Sequencer. This is a single output with the outputs of the three VCA’s mixed (summed) together. Patching a VCA output may remove it from the SUM output (behavior selectable via internal switch). Since the Colour Palette is an open-source format, you can freely share and sell your ColourCV ideas. By using the pre-made, DIY ColourCV Prototype PCB Kit and following our easy to use Designer’s Toolkit, you can bring your creations to life. Order today and start your modular system, or add this powerful instrument to your existing setup.